In July 1970, having cut The Man Who Sold the World and “Holy Holy,” Bowie went into hibernation (well, aestivation, to be precise). Everything was on hold. No shows, no promotions, no studio sessions. Mick Ronson and Woody Woodmansey dejectedly went back to Hull (Ronson even fell into a depression). Tony Visconti, who was about to produce a run of chart-topping singles for T. Rex and who was wary of Bowie’s new manager Tony Defries, told Bowie he couldn’t work with him anymore. The two parted outside Defries’ office on Regent Street, not to meet again for years. The silence was partly strategy. Defries was negotiating to get Bowie a better record deal than his current one with Philips/Mercury, whose contract would expire once Man Who Sold the World was released. Bowie’s publishing contract with Essex Music was also expiring, and due to Bob Grace at Chrysalis Music’s love for “Holy Holy,” Bowie landed a new publishing deal with Chrysalis in October (giving Bowie a much-needed £5000 advance). So in the latter months of 1970 Bowie simply wrote, song after song, many of them on a piano he had brought into Haddon Hall; he later demoed many of the pieces at Radio Luxembourg’s studios. In 1971 Bowie would at last go to America and would record Hunky Dory and most of Ziggy Stardust: alone at his piano, Bowie laid the framework for a miracle year. 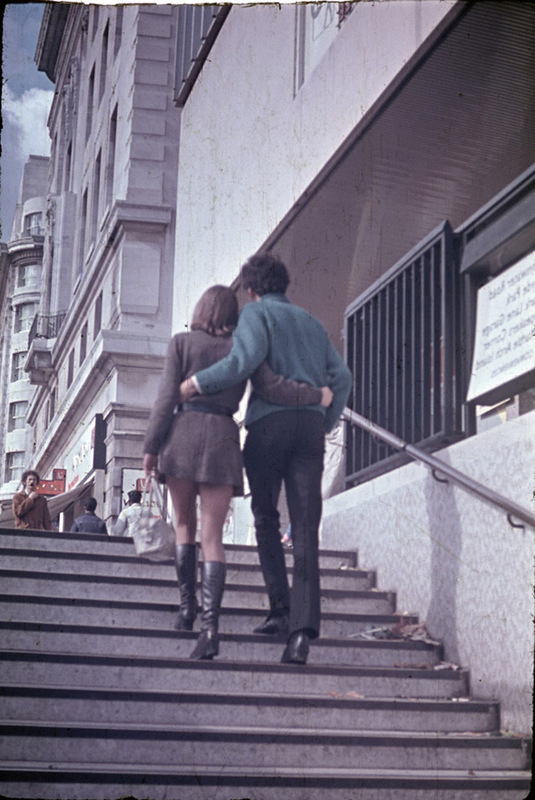 Top: London, 1970 (photographer unknown). This entry was posted on Monday, February 1st, 2010 at 11:22 am and is filed under Chapter Ends. You can follow any responses to this entry through the RSS 2.0 feed. Both comments and pings are currently closed. Thanks for this incredible blog. I enjoy it very much.